Samantha Kelly was expecting a baby in August 2018. What she wasn’t expecting was for her husband to get a new job, her family to move to a new home in a different state, a diagnosis of postpartum preeclampsia, and for her community to be hit by two hurricanes all within a few weeks of her baby being born! “It was a crazy time,” she says. 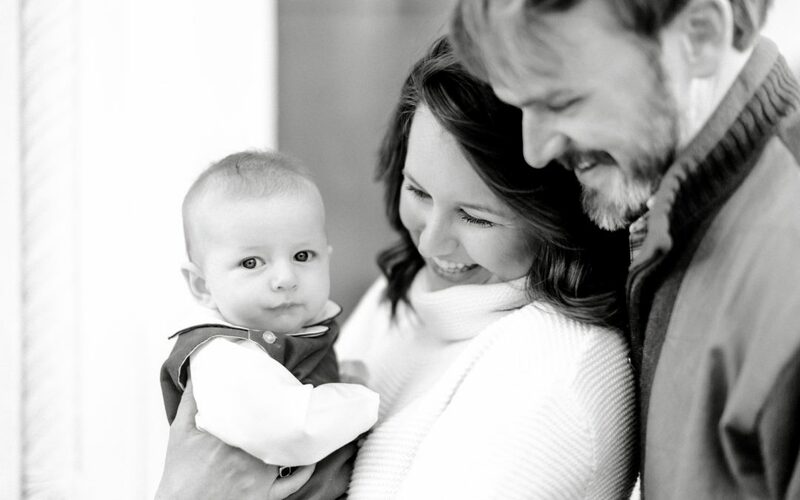 As Blue Cross NC marks the two year anniversary of implementing 12 weeks of paid parental leave, we’re celebrating how this benefit, along with the total new parent benefit package, is helping employees like Samantha successfully welcome new members into their families. Not long after Beau was born, Samantha received a handwritten note of congratulations from an HR representative, along with a little book titled Eat Your Peas. Beau was about two weeks old when Samantha was up with him on another sleepless night. While Beau was nursing, Samantha picked up the book. “It was just for me and was there at just the right time.” Samantha took a deep breath, just like the book said, and felt prepared for the big move that was just around the corner. Samantha says, “Between the move and the voluntary evacuation due to Hurricane Florence, I lost two weeks of bonding time with Beau.” But she was able to make up for that lost time thanks to 12 weeks of paid parental leave, made all the more meaningful after everything they’d been through. Samantha assumed her benefits would be over once she returned to work. But there was much more to come! Home visits with a lactation consultant, on-site daycare, mother’s rooms for nursing, and the ParentLife program are just a few things that have made coming back to work a little easier. “Having mother’s rooms in several buildings is one less thing to worry about. I don’t have to pump in the car or in a bathroom like some of my friends,” Samantha says. Samantha appreciates all the company has to offer expecting moms and new parents. The benefits are like a menu – each employee can pick and choose the ones that are right for them, building their own customized plan to fit their needs at various points in their journey. Samantha has learned that becoming a parent is a marathon, not a sprint. And the parental benefits Blue Cross NC provides continue to help her and her family pace themselves on that journey, prepared to tackle each new challenge and enjoy each new milestone along the way. Employers: learn how to make your business more family-friendly with this guide from Family Foward. Elizabeth Franklin is a Communications Specialist at Blue Cross NC. Outside of work, Elizabeth enjoys cooking and weekend getaways with her boyfriend, playing tennis and spending time with her two boys, which is becoming more and more precious as they approach independence.